Oklahoma City University School of Law has been working to conserve and protect two large Olinka Hrdy murals located in the historic Central High School building in downtown Oklahoma City. Hrdy is Oklahoma City’s first modern artist. She was born to Czechoslovakian immigrants in a one-room sod hut in Prague, Oklahoma in 1902. 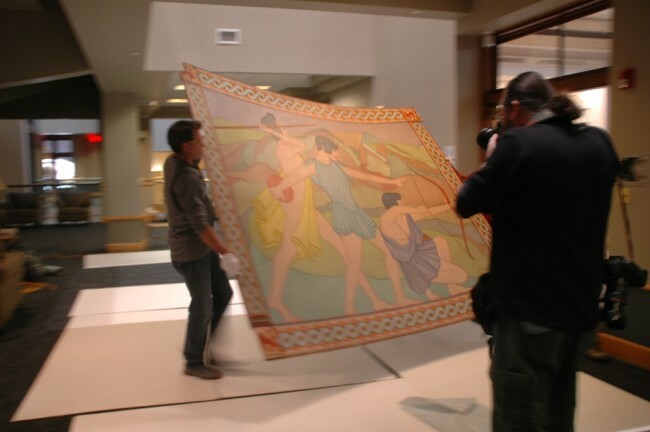 After studying at the University of Oklahoma, Hrdy painted murals for Bruce Goff’s Riverside Studio in Tulsa and was invited by Frank Lloyd Wright to paint more murals. 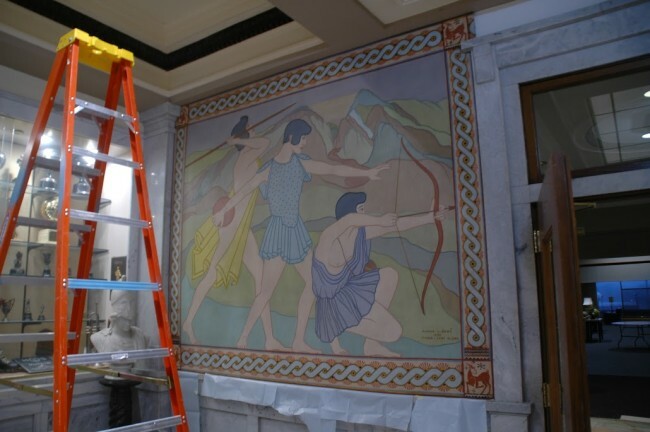 The murals are extremely rare as most of Hrdy’s other murals were destroyed. Only one other Hrdy mural exists and is located in California. 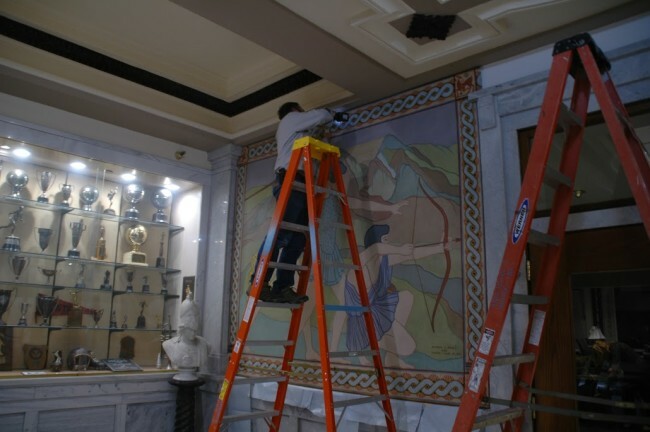 The murals were in need of immediate appraisal, repair and protection. 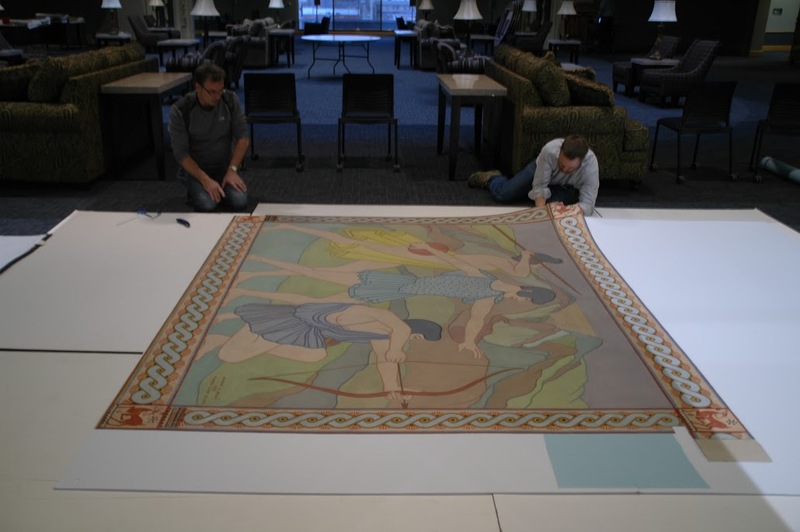 Oklahoma City University School of Law took on the project and asked the Oklahoma City Foundation for Architecture for assistance. 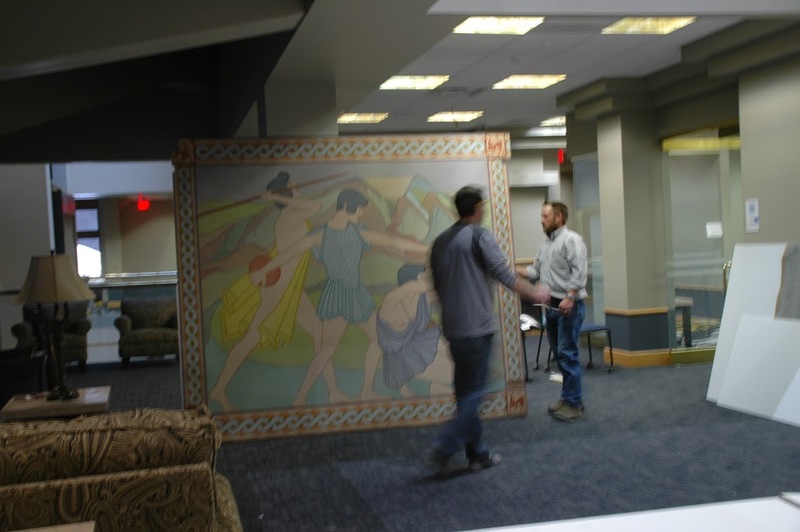 The murals have now been restored and are back in their original location in the historic Central High School building, OCU School of Law. Thank you to Anthony McDermid, Weston DeHart, Kent Sepkowitz, and Fred Niggemeyer for donating to the project. 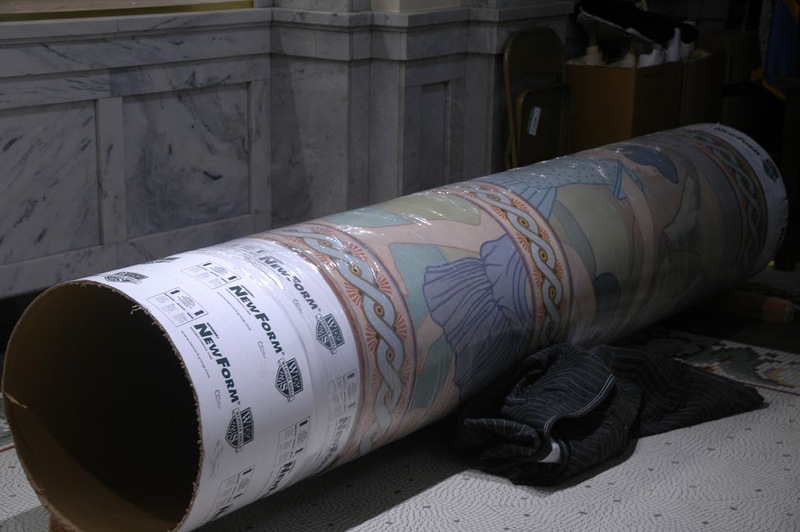 Here are some images of reinstallation.